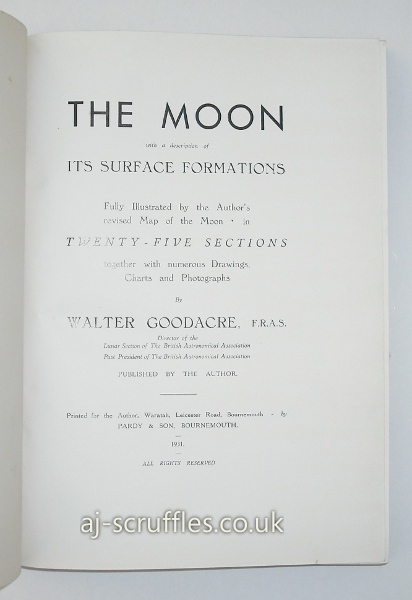 Self published volume by amateur astronomer Walter Goodacre. 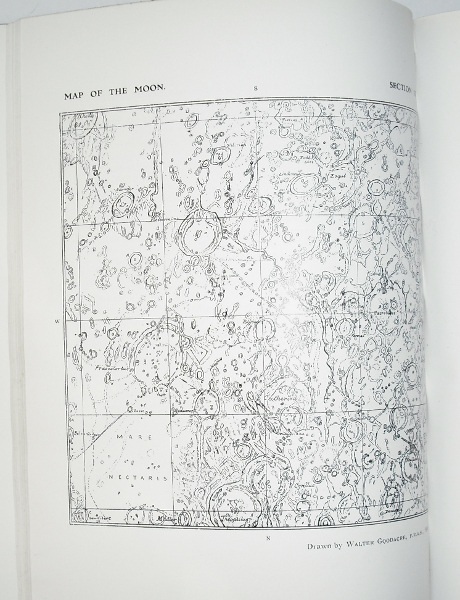 His hand-drawn maps of the Moon were the standard and in use for many years. 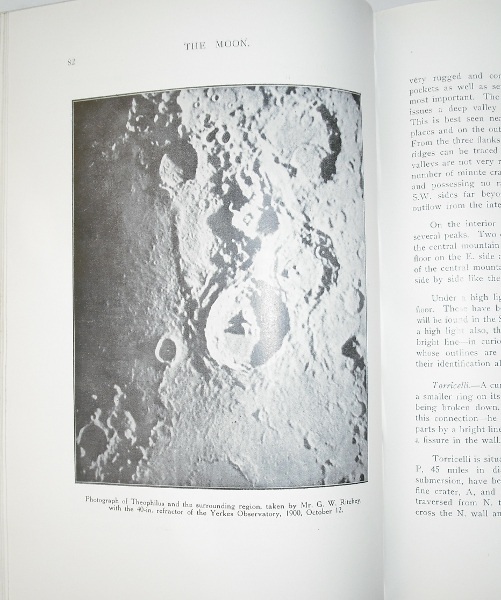 Included are dozens of his sketches of the surface as well as a number of high quality plates of some of the most striking photos of the moon then taken. 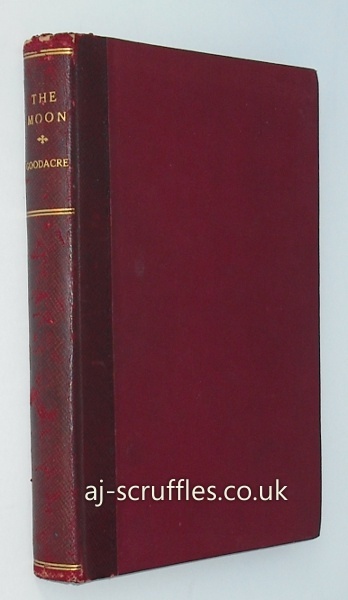 Goodacre describes the surface of the moon in great detail, commenting on disputes among astromers over the sizes of craters and ranges etc. Large Octavo, quarter leather with cloth boards. Extremities of spine are well rubbed with slight soiling to top page edge. Contents though are clean and stellar white. A good copy of this special book.